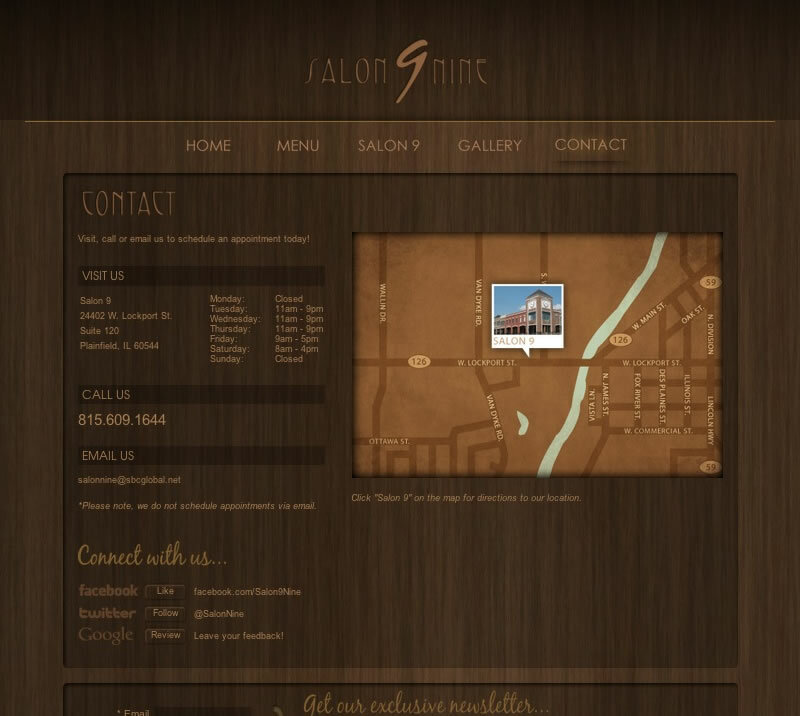 Salon 9 contacted me to assist them in a site redesign. We started from scratch. Their main request was that the site capture the “mood” of the location itself. I was lucky enough to have visited the salon in person during a trip to Chicago, so I knew exactly what direction to go. 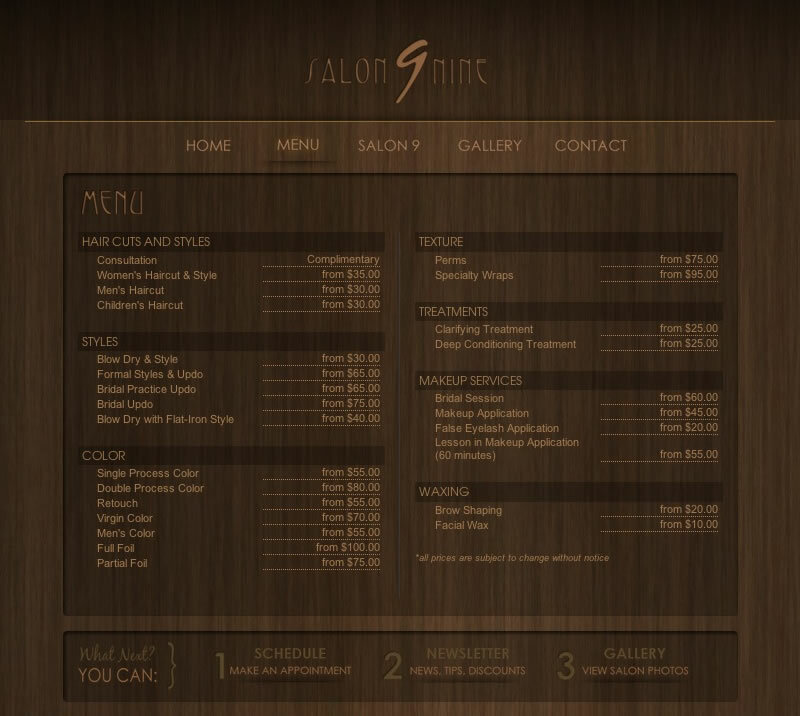 I hand coded (XHTML/CSS) this original deign into a static site for Salon 9. 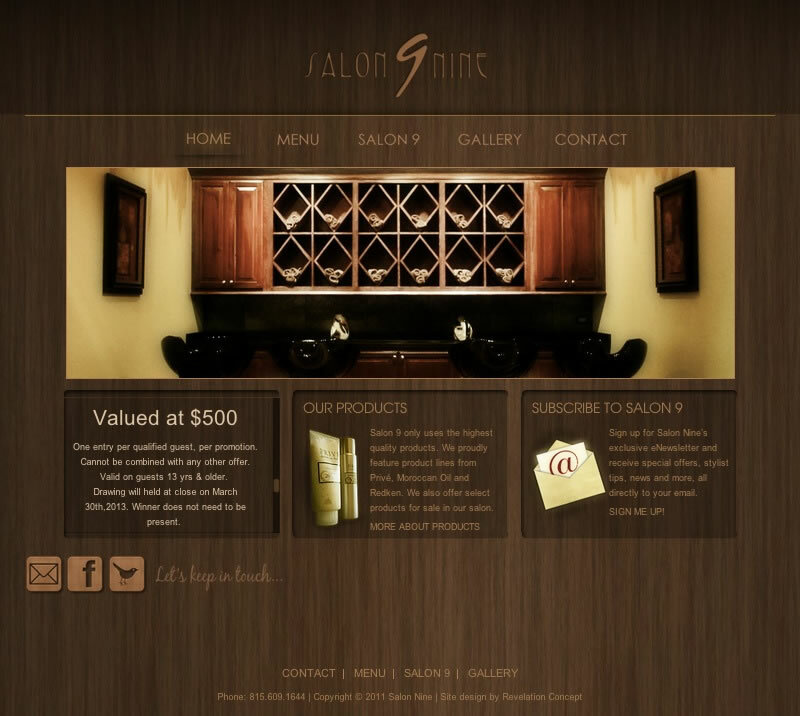 I also used Cushy CMS to give them the ability to update specials on the home page.